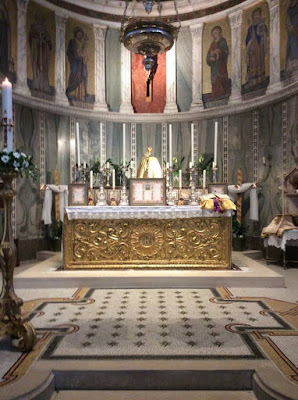 Tomorrow, June 8th, the Church of Our Lady of the Assumption & Saint Gregory, Warwick Street, London, will offer a Requiem Mass in the Extraordinary Form for the eternal repose of Mother Angelica. The Mass will be begin at 7 pm, with Confessions available from 6:30; see the Facebook event page for details. Members of the group who organise this weekly High Mass felt that they would like to do something to help Mother Angelica, who did, and, we pray, continues to do so much to help Holy Mother Church.